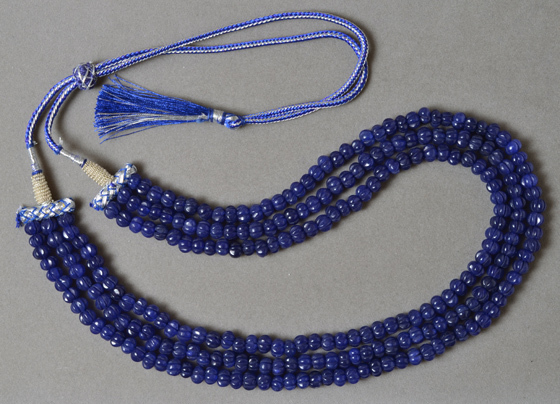 Rondelle beads carved from blue sapphire. This is opaque Indian sapphire of bead quality meaning it is mixed with other minerals. Temporarily strung on ornate cord--not strong, recommend restringing. Beads are rubbed with dyed olive oil to enhance color.